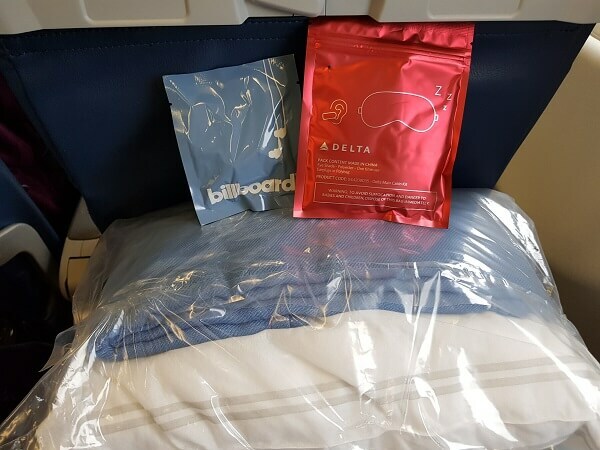 Our Latest Trip to NYC Took us on Delta Airlines TransAtlantic A330 Service. 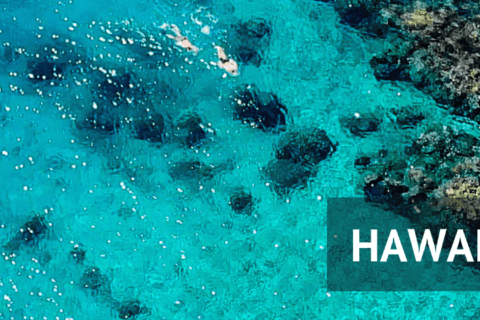 As regular Ocean crossings come with the territory of running a Travel Blog we know what to expect from a good long Haul Service. So we Put Together this Delta Airlines Economy Review. The first thing to note is Delta’s international Service is very different from its Domestic service (Which is super Budget) so if you want to know what the Airline is like on National flights this is not the review for you. 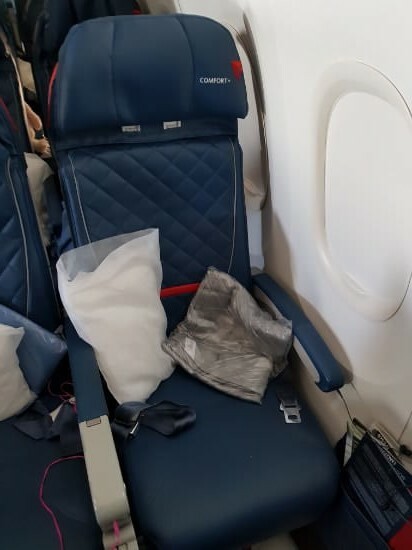 However, if you are flying internationally with Delta this is what you can expect from their Economy Cabin Service, Known as the Main Cabin. Before last year (2018) we were pretty new to Delta Airlines. We have never heard great things about them and being from the UK it was not an airline we looked towards much. 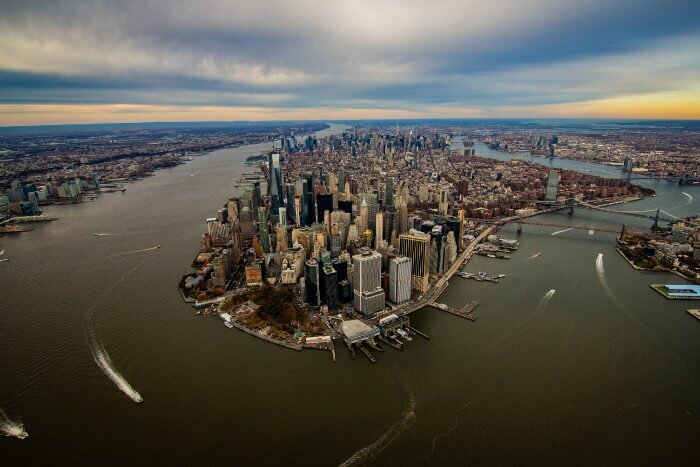 But after their Partnership with Virgin Atlantic, one of our favorite TransAtalintic Carriers their flights started coming up more and more as Extra options on routes we fly often. 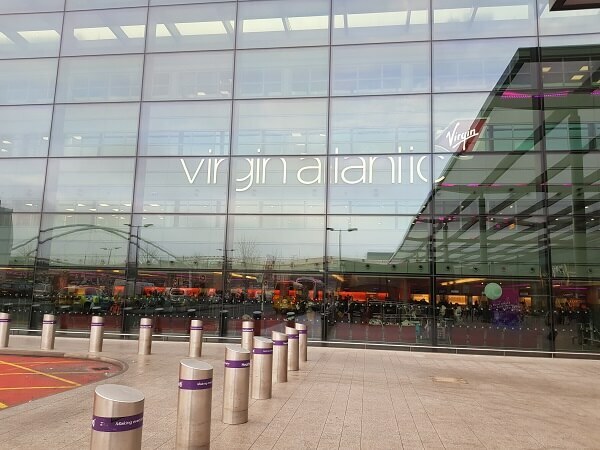 We were planning another trip to New York and the Virgin Prices were coming in t £360 Return from London Heathrow to JFK on Virgin. However one of the route options was on a Delta flight, and the timing suited us much better, getting us into JFK well before any other option and for the same fare. After our Last Delta Experience, we were not expecting much but figured as it was only a super quick 7-8 hour hop (yes we now think of 8 hours as a short flight) We thought it would be fine to “slum” it and gave them a chance. So as far as the booking process goes there wasn’t much to say as we went through the Virgin Website. It is worth saying we go FREE seat assignments whereas Virgin now charge for this “Service”. The Boarding Process is all bit odd. The Partnership agreement means you are basically handled by Virgin at the Airport and just use all the dual-branded check-in desks. After getting through security fairly quickly and into the Terminal we only had an hour to kill before boarding so a touch of shopping and a coffee and it was off to boarding. This is where the Delta crew begin to take over, while oddly overlooked by a large number of Virgin staff doing very little but observing, while the Delta did the work…it all felt a touch awkward. Naturally, the Cabin on the A330 was a touch basic. The A330 is aging a bit now and an economy cabin is never going to be “plush”. However, it is not a terrible place to be at all. You are provided the usual pillow and blanket, which we don’t use on a day flight but it’s nice to get them. You also get a set of headphones and an amenity kit in some modern packaging rather reminiscent of condom packets! Again we appreciate the gesture even if the went unused. We still remember the days when you were forced to PAY for headphones! The seats are pretty comfy and are still the old faux leather padded variety, not the ergonomic minimalist’s seats that are becoming the norm in economy cabins. The Layout is out much preferred 2-4-2 meaning we get a row to our selves and are not pair with a new flight “friend” who gets to know or bathroom schedule immanently as they are disturbed every time we need to get up. For the 7-8 hours this was going to be perfectly adequate and even on longer haul flights, we would have no issue. We rarely have anything bad to say about cabin crew as we appreciate just how hard they are working and even if they are a bit off it can be forgiven most of the time. However, the service was top notch. Polite efficient fast and always with a smile. Just what you want. Even out last less than excellent experience on Delta in Comfort plus the major upside were the Cabin Crew who were excellent in all ways. The Biggest Criticism with the Delta Studio IFE is its advertising. 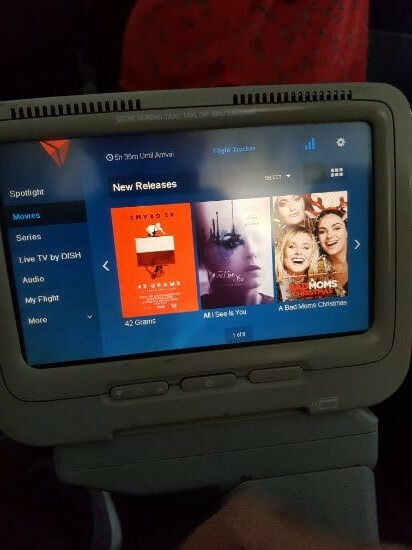 Every Delta flight we have been on we are dismayed with the line up advertised and ready to think outside the box to find something to watch or keep entertained, however, the reality is very different. Delta Studio is actually really good. It is packed with modern films and a whole bunch of older films that are often themed, maybe accidentally, to the destination. It really is a comprehensive system and by landing, we were left wishing we had a bit more time to go at it! The Screens are very good for economy. Decent size and very responsive to touch. Older touch screens can be infuriating but there were no issues here. This is where things get interesting, The food and drinks were excellent. The best we have experienced in economy of late. The Menu actually had us a bit stumped on what to order (for the right reasons) and when it came was actually really tasty. The Starter was a usual salad but there was a touch more to it than the usual leaves and underripe tomatoes. We both had the gnocchi that was a decent texture. It’s not the easiest ingredient to get right and we did kind of expect in an airline environment it would be nothing more than flavorless concrete sludge. Actually, it was pretty good with a decent texture and a nice flavorful sauce. It was accompanied by a Presztel roll that was delicious and a pretty good cheese and cracker potion. There was a choice of Red or White wine, both of which were decent and the dessert was an amazing Double Chocolate and Salted Caramel Truffle. It was too small as always but bigger than most airline desserts and utterly fantastic. Drinks were also excellent. The menu is far more varied, with more premium drinks than any economy menu we have had before in economy. A particular Highlight was the inclusion of Jack Daniels Honey. There were only a couple of drinks services but the real galley was always manned so drinks were plentiful. Around an hour before landing, we were offered more food. This time a choice between at Chicken Tikka Wrap or Cheese Sandwich on Pretzel bread. We chose the Wrap and it was really very tasty and accompanied by a nearly full-size Magnum Ice Cream. 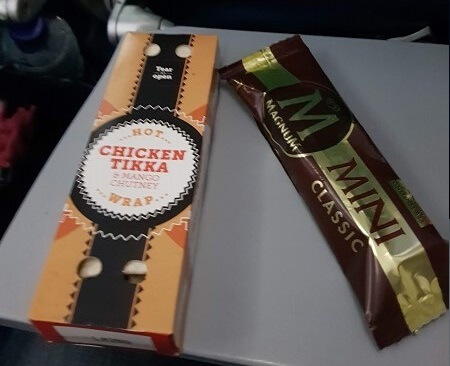 We never really expect a lot from Airline food even in the upper classes but this was an excellent service and really far better than expected. Once we were at the mercy of US Customs things obviously went downhill, but to be fair it was only semi-painful. We used the Self Serve desks which are completely pointless as you just then join the normal queue with everybody else! Any Carrier flying into the US has this advantage that they don’t need to rush with the baggage unload as Customs like to take their time. Sure enough, after the 40-45 min trek through customs, our bags were waiting. Then we were straight onto the Air train and then the Tube straight into the Heart of Manhattan for an incredible weekend in the Big Apple. Really we didn’t expect much from Delta. 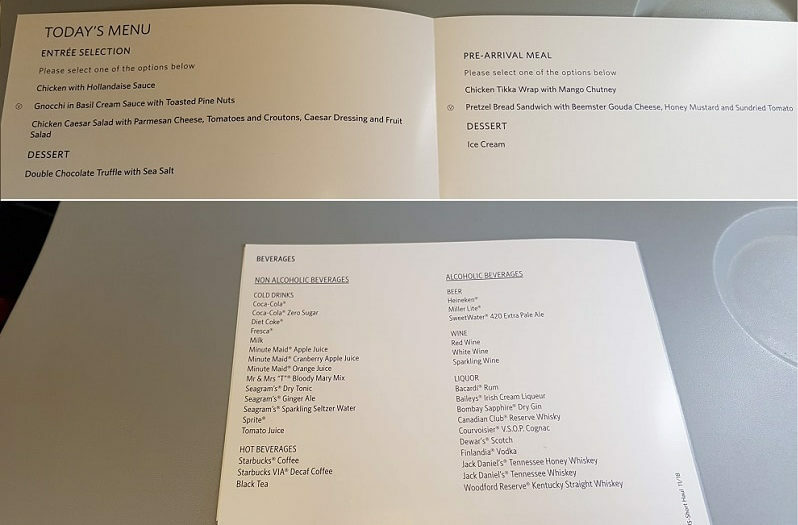 In the US they operate pretty much as a budget airline and while we know the Transatlantic service was different we didn’t expect much more than a crappy meal and a few drinks. However, they really set the bar for an economy transatlantic trip. The A330 is getting on a bit but it’s still streets ahead of the B777, 737 or even the 747, Apart from the Dreamliner it’s the best aircraft on the route so we can’t complain much and Delta’s main Cabin was more than acceptable. As we said the Service was excellent and this was helped along with the great (Airline) food and generous drinks. It really was a flight where we found very little to complain about. In fact, it put our return flight, which was operated by Virgin really in the shade! 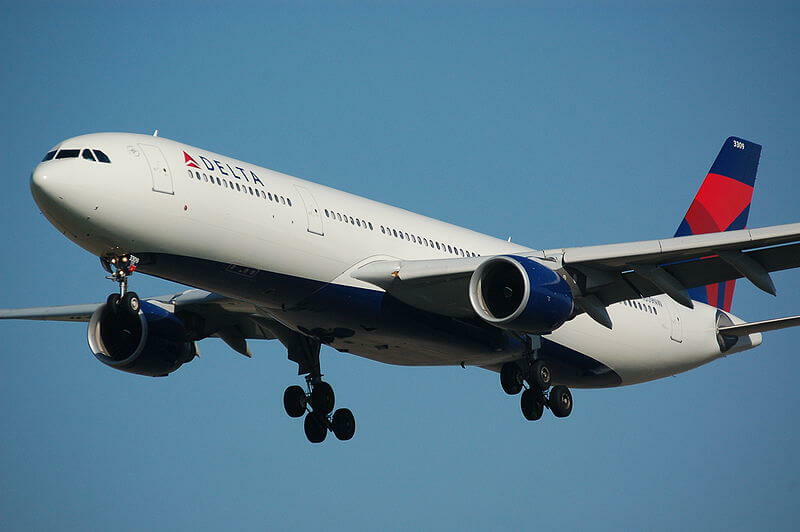 Have you been on Delta’s International Service recently? What did you think, was your meal as good as ours or did we just get lucky? Let us know if you have anything to say in the comments below or if you have any questions on the service feel free to fire away. Previous Post:Ultimate Las Vegas Pass Comparison 2019 – Which Las Vegas Attraction Pass is Best?